Anyone that has taken a spill when wakeboarding or waterskiing will tell you that water isn't as soft as it seems. Not only can falling at 40+mph hurt, but the wakes you're boarding across won't exactly be easy on the knees. Keeping your knees healthy and strengthening them when you’re not out on the lake is key to warding off injuries and getting the most out of your runs. Here are five of our favorite knee-strengthening exercises for wakeboarding. Jumping is an explosive movement that builds muscle and stability quickly, and box jumps are one of the best jumping exercises out there. Simply place a training box in front of you and hop up onto it using both feet, and then step back down. You can get a higher box as you get better at this, or try doing one legged box jumps to increase the difficulty. This is a great exercise that will prepare your knees for impacts on the water. Another great exercise for wakeboarding is leg curls. Because hamstring muscles help stabilize your knee it's important to keep them strong. Leg curls help isolate the hamstring and strengthen them very effectively. There are tons of different ways to do leg curls, but if you have access to a gym, simply using a leg curl machine is the easiest. If you want to add in an element of stability to the exercise, you can use a stability ball to get your core involved as shown in this video. Squats are the holy grail of leg and core exercises. Proper squat form is essential to warding off injury, but once you have your form down, there is no better exercise for a total body work out. If you're new to squats, its perfectly fine to forego the extra weight on your back and focus on your form and high repetitions. Remember that your goal is to strengthen your knees, which will be difficult if you injure yourself when you're working out. The thing we love most about stationary bikes is that you can adjust the resistance, which will give your knees a serious workout without any high impact and with a low risk of injury. Bikes work all of your leg muscles, giving your knee much needed support. Remember to always take your knee health seriously in the off-season and you will be prepared when spring rolls around to hit the lake. These wakeboarding knee exercises are even effective for those that are recovering from an injury after they have been cleared by their doctor to get back in the gym. 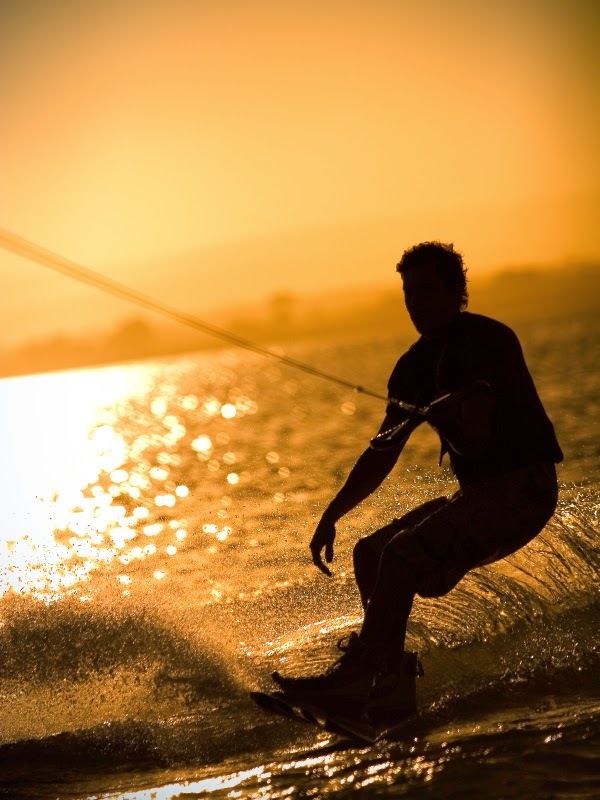 If you've experienced an injury and are looking for a brace to give you the extra support you need, check out our watersports bracing page for an extensive selection of the best braces for waterskiing and wakeboarding.